We want to start this post by saying sorry for dropping the ball a little the last couple of weeks. We hope that everyone had a great holiday season, filled with fun, family, and lots of nerdy loot. During these past few weeks, we have been very busy. On top of having an amazing Christmas, we have relocated from beautiful British Columbia (Canada) back to Ontario (Canada). 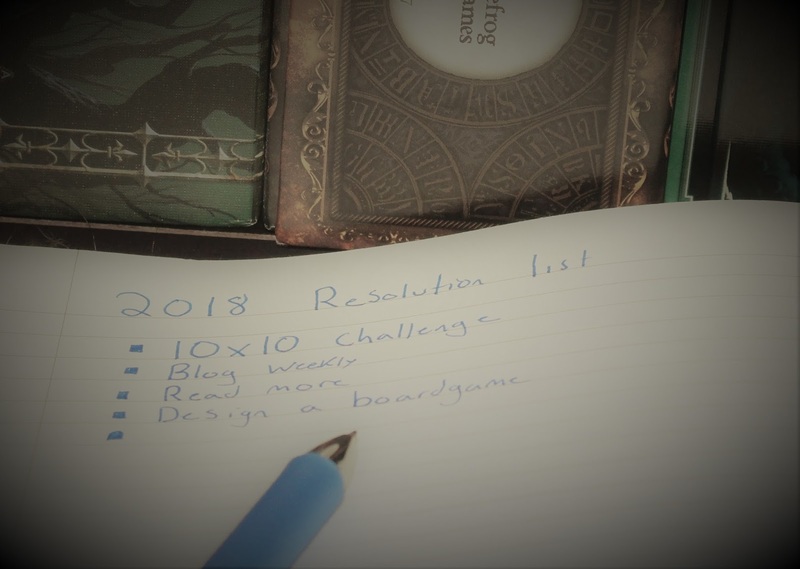 Needless to say, 2018 will be a year of big changes for us, some board game related and other a little more personal. Starting of course with our new blog layout! Hopefully it is a little more reader friendly! While change is in the air around here, we thought we would get on the bandwagon and make a few game-changing new habits/ new years resolutions. Our first goal is to make sure that we are posting weekly. So if you enjoy the read, feel free to tune in each week. We will try our hardest to have new post up every Sunday night. Our second goal - may be a slightly bigger feat than our first, is to complete our new, 2018 Games-O-lutions challenge. We tried to make this list not only comprehensive but also inclusive, so that if you want you can do the games-o-lutions challenge with us. If you do play along we would love to hear about your progress through the list. If there is anything you think we missed on the list we would be interested in hearing about that too. Have a happy, safe, and nerdy New Year everyone!